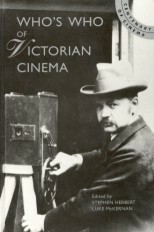 During the 1890s Hyman was the manager of the Empire Theatre of Varieties, Johannesburg , where Carl Hertz gave South Africa's first film shows in May 1896. Greatly impressed by this novelty, in 1897 Hyman acquired a camera from Charles Urban (through his brother Sydney, who acted as his British agent). Hyman was undoubtedly making films by the following year, among which were street scenes in Johannesburg. and he may also have filmed on the SS Scot during a voyage from Britain to South Africa. 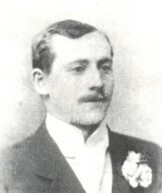 In September 1898 he claimed to have filmed President Kruger leaving his house in Pretoria en route to the Raadzaal, though Joseph Rosenthal in an interview stated that this film was his own work. What is certain is that in January 1899 Hyman, together with the Empire's musical director, Dave Foote, gave a show of this and other films to the President himself and his guests in the Residency, Pretoria, and Kruger was said to be most impressed, especially with the film of himself. Later that year, with the Boer War about to flare up, Hyman was on his way back to South Africa after one of his periodic visits to London. Arriving in Johannesburg he found the Empire Theatre closing in preparation for the coming hostilities, and was forced to decamp with the company to Cape Town, where he found another hall in which to give shows. Thus Hyman was in the right place to witness the first British and colonial troops arriving in South Africa. In November he filmed Sir Redvers Buller in Cape Town, and over the next couple of months recorded a variety of British and colonial regiments disembarking or marching through the city. Hyman himself followed the troops to the western front some time in December, he seems then to have joined up with Joseph Rosenthal at the Orange River, and ended up filming the raising of the British flag over Pretoria in June of 1900. After the war Hyman continued in the music hall business, and in 1912 formed a company running a chain of theatres and distributing films in South Africa, but the following year this company went into liquidation. It was a sad reverse for the man who had helped bring the cinema to South Africa.